There is a complex pull of emotions when a woman is faced with yard work. I realized this standing to my father’s left, a giant pile of red outdoor rock on the driveway in front of us. The pile was enormous, at least a ton or a ton and a half, a blood red and black mix. In just standing for a minute, a layer of lava dust had already found its way onto my black running shoes making them look an ugly burnt orange. My father and I were both standing with shovel in hand. He was already sweaty, having worked for several hours on the backyard. I was fresh from the gym, still coasting on my post workout high, thinking I could use my energy to help him, at least for a little. I stared at that pile, wiped a bead of sweat from my forehead. There were two wheelbarrows to our right. Those were to carry the rock to the backyard where we would spread it underneath the trees and shrubs making everything look fresh and new again. It was a brainless task, really. Just time consuming and labor intensive. But I did have some energy in me. So I has offered to help. There are two things that go through a woman’s mind when confronted with a task such as lava rock transporting. One: This is a guy’s job. I shouldn’t have to do this. I don’t want to do this. Two: I can do this. I’m strong. I have to prove I’m capable. The latter was the stronger of the two feelings for me. I have been raised in a family of two girls, a family that has always believed women to be athletic, strong, and beautiful interchangeably. (What a novel idea!) There has never been a moment in my life where I felt my father didn’t value my female worth, though I know he probably wished at many points in my hormonal, adolescent years that he had sons instead of two daughters. 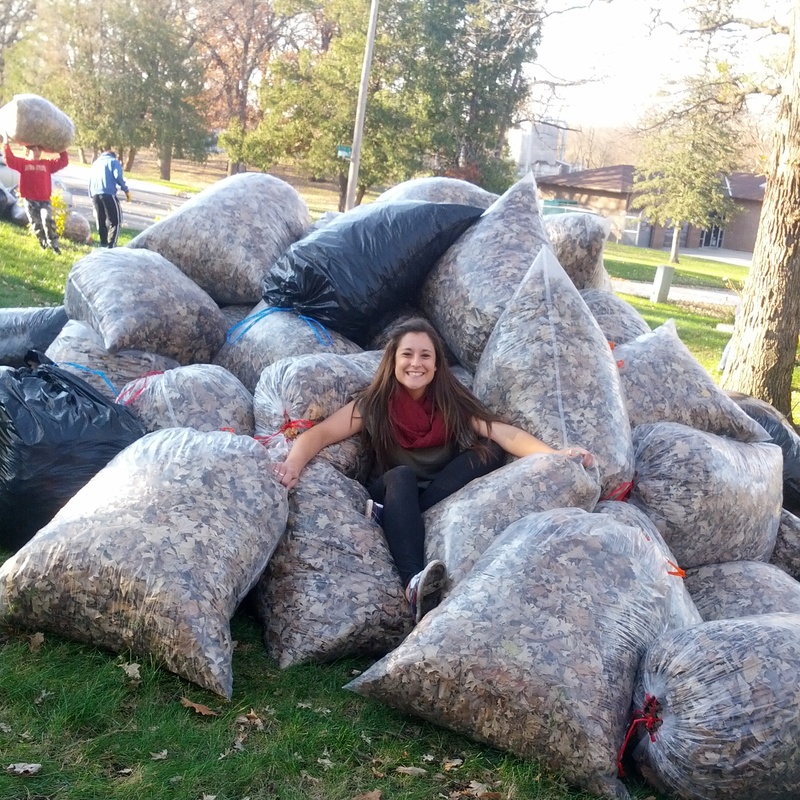 Standing in front of that pile, though, I felt some need to prove myself. Some pull at my inner core telling me that this day of yard work mattered, it meant something about who I was–as a daughter, as a woman. I pushed my shovel into that pile with authority, though my scoops were about half the size of my father’s and it took me almost twice as long to fill my wheelbarrow. I pushed that unstable wheelbarrow to the back. I bent forward and shoved the rock underneath the trees. I raked and smoothed, then I walked back to the driveway and did it all again. Each walk back seemed cleansing somehow. I knew where I was headed and what I had to do. Each push of my shovel into the rock gave me strength. I could feel the rock shift underneath my hands. I could feel blisters forming along my thumb and pinky. I could feel my heart pumping, the muscles in my arms and back aching. When I returned to the backyard and dumped another load of rock I felt such a sense of pride. I was helping my father. I was useful. I was strong. Later that night, after hours of shoveling and after my energy had finally gone out, a guy friend of mine asked me how my day went. I explained the process, how exhausting it had been, how much we had accomplished. He was impressed, and I found myself wondering why. Impressive because I had done a man’s job? Impressive because I was a woman? Impressive because I showed myself as strong and capable, being a woman completely aside? I label myself a ‘feminist’ – but not someone who thinks that being proud of my womanhood means stepping on men in the process. When my friend nodded his head at me in respect for my hard labor, I wondered if I could feel pride, or if feeling pride was feeling pride for doing a man’s work and not about the task itself. It was a mix of feelings, something that still rings true in so many places in society today. Female accomplishments are respective to the gender, Wow, you did yard work and you’re a woman. Impressive! I even question myself sometimes, am I proud of what I accomplished in the yard because I am a woman doing a man’s task? Or proud because I’m strong just in the simple definition of the word? It’s an interesting concept. What I remember most about that day of yard work though, is not the labor or whether my friend had seen me as a woman or a person. It was that moment right before going into the house when my father had put his arm around my shoulders and said, simply, ‘Thank you.’ In that moment, side by side, arm sweat mixing together, gnats circling our heads, I didn’t feel like a daughter, or even a woman. I felt like an equal.